I just saw this in a local store and wondered if it was any good, guess I’ll skip it for now. 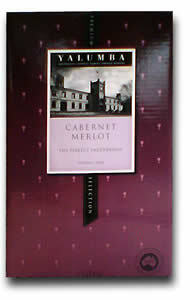 I’m going to have to look for more Australian boxed wines because I haven’t seen a lot. I wouldn’t necessarily give the whole brand a pass. Next I might try the Shiraz, a varietal that Australia excels at.